This is a story about weaving. 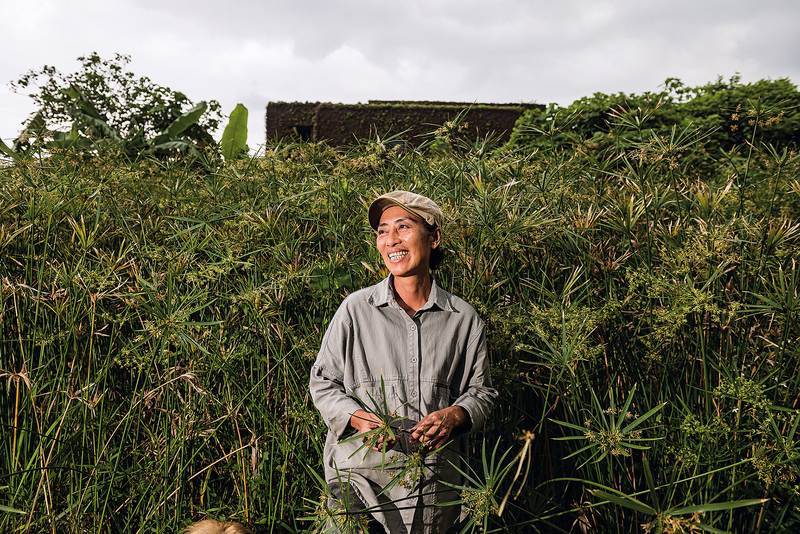 It begins with Sumi ­Dongi, who was working to restore terraced coastal paddy fields and revive the umbrella sedge. She got to know Ti­pus Ha­fay, who was mentoring businesses in Hua­lien and Tai­tung; later, they joined forces with designers Shane Liu and ­Chang Yun-fann. All these elements were woven together to create the simple, modernistic “Ri­yar Light,” and tell the story of the Ka­ma­ro’an brand. The Riyar Light, which marries craft with design, has come to shine brightly on the international stage. In 2017 its combination of local authenticity with fashionable design won a “Rising Asian Talents” award for Kamaro’an at Maison et Objet, France’s leading trade fair for interior design. At exhibitions in Europe, one can often hear Kamaro’an designs being praised as “elegant,” “poetic,” “sculptural,” and “authentic.” The Riyar Light has even been taken by President Tsai Ing-wen as a gift on a visit to a diplomatic ally. The beauty of Taiwanese crafts is there for the whole world to see. 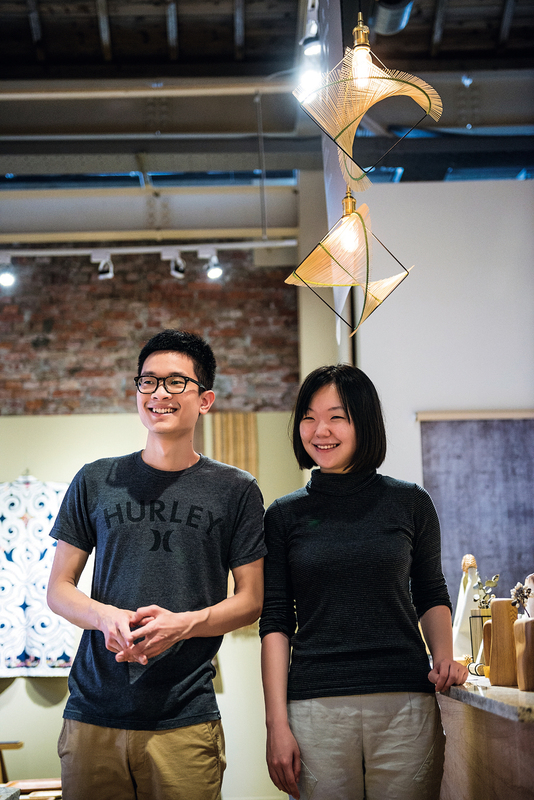 In Tai­pei’s Hua­shan 1914 Creative Park there is a shop named “The Wind of the Pacific Ocean” that sells selected products from Hua­lien and Tai­tung Counties in Eastern Taiwan. Inside the shop Ngodo and Nacu, two young indigenous women of the Amis tribe, are focusing their attention on the weaving work in front of them. Ngodo is using the “single thread” rattan weaving technique to make a handle for a triangle handbag. Nacu, meanwhile, is sitting upright before a weaving table about 150 centi­meters long by 12 cm wide, where she takes strips of umbrella sedge, fixes them on the weaving table, and then ties over and under with paper twine to bind the strips together, using hanging lead bobs to weigh the twine down and hold the umbrella sedge in place. It is not only weaving tables that had been forgotten. In the indigenous community of Ma­ko­taay in Hualien’s Feng­bin Township, there are many scenes of daily life that have disappeared as lifestyles have changed. These include, for example, the coastal paddy fields that fell into disuse and became overgrown after the supply of irrigation water was cut off, and the sight of women of the community weaving straw mats during slack periods in the agricultural year. Sumi decided to set to work restoring the terraced paddy fields, while at the same time replanting the umbrella sedge (Cyperus alternifolius) and swamp leaf (Limnophila rugosa) that grow alongside paddy rice. Her efforts made it possible once again for visitors to Ma­ko­taay to see golden paddy rice ripening beside Provincial Highway 11, and Amis people weaving straw mats. Sumi also thought about what other uses umbrella sedge could be put to, to establish a local industry that would provide stable job opportunities to the community. 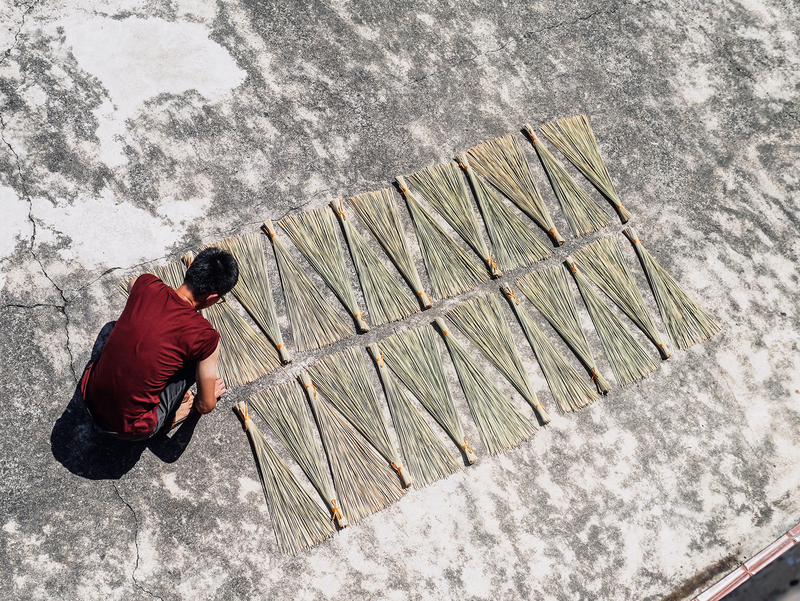 The process for weaving straw mats is simple, but because Taiwan is so humid, the traditional method of drying the sedge in the sun was not always sufficient to prevent it remaining moist and thus becoming moldy. This was a problem in need of an urgent solution. After several experiments, Sumi took inspiration from the method used by the Amis for processing rattan. The vascular tissue inside the sedge stem is stripped out to leave only the outer skin, which is dried in the sun. This produces a much more durable material. Sumi also learned Amis weaving techniques from tribal elders and taught them to younger women. Chang Yun-fann and Shane Liu first came to Ma­ko­taay with Tung Fang-wu, an associate professor at National Taiwan University of Science and Technology (NTUST). For many years now, there have been a number of arts subsidy programs to rediscover the culture and handicrafts of indigen­ous communities. But this revival often comes to a halt when the program terminates, without any way being found for the resources that have been identified to be used sustainably. “A lot of culture and stories have been rediscovered, but then comes the problem of how to commercialize them,” says ­Chang. This is the issue that their team is trying to resolve. Tipus Hafay was born in another Amis community, Na­ta­o­ran. After completing her studies at the Graduate Institute of Building and Planning at National Taiwan University, she worked in Tai­pei for over five years until she finally got a chance to return home to work, to assist in men­tor­ing traditional industry firms in Hua­lien and Tai­tung. 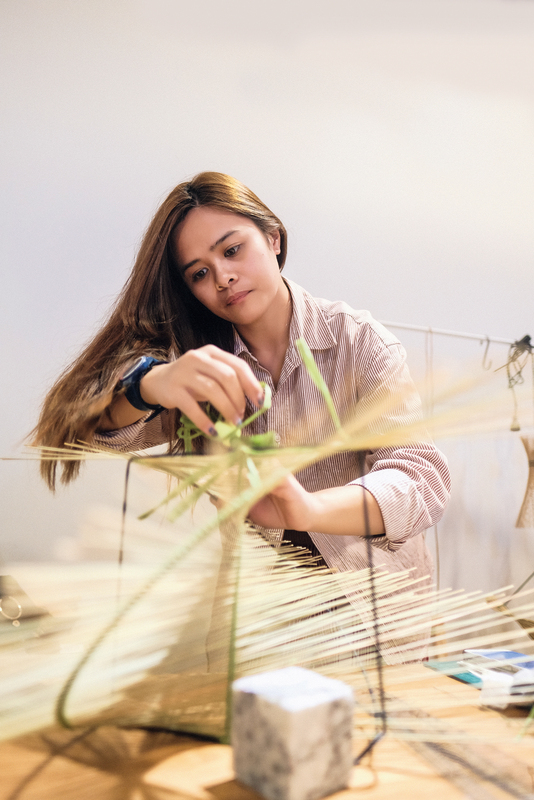 The project team started learning from scratch, and they personally learned from Sumi how to process and weave umbrella sedge, so they could understand the time required for weaving and the adaptations they could develop. Shane Liu says: “Living in the indigenous community, seeing the mountains and ocean every day, you unwittingly make shapes that resemble ocean waves. [In the Riyar Light] every angle is different, just like the swelling of ocean waves, bringing a sense of rhythm.” The Riyar Light is constructed around a rhombus and two semicircles, simple geometric shapes that give it an uncomplicated and modern feel. 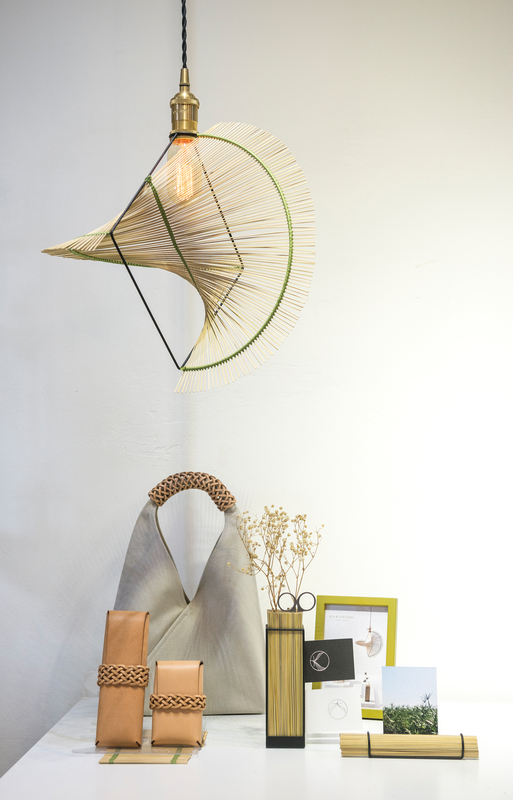 The umbrella sedge, which has absorbed the sunlight of Hualien, is twisted into a wave shape, incorporating the natural setting of Eastern Taiwan into the lamp’s design. 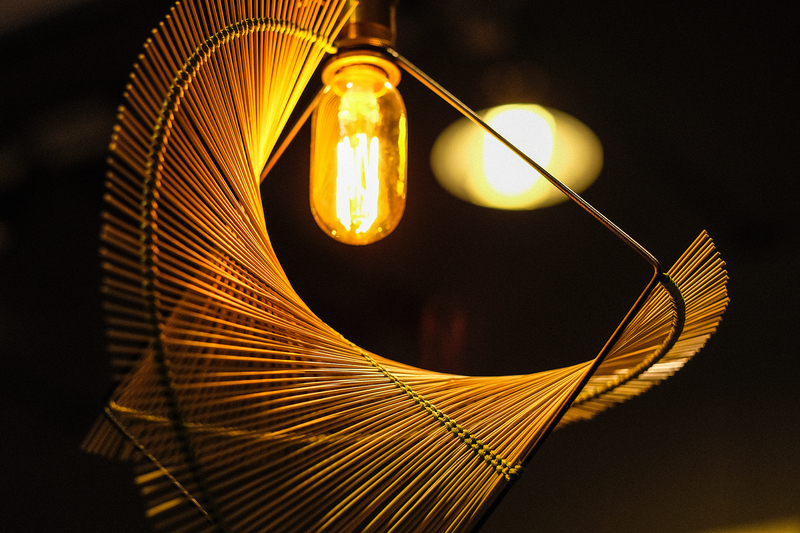 In order to highlight the craft of weaving while also meeting the needs of future large-scale production, the designers cleverly placed the hand­woven element in the most eye-catching position on the lamp, while using standardized components for the remainder of the product in order to reduce costs. 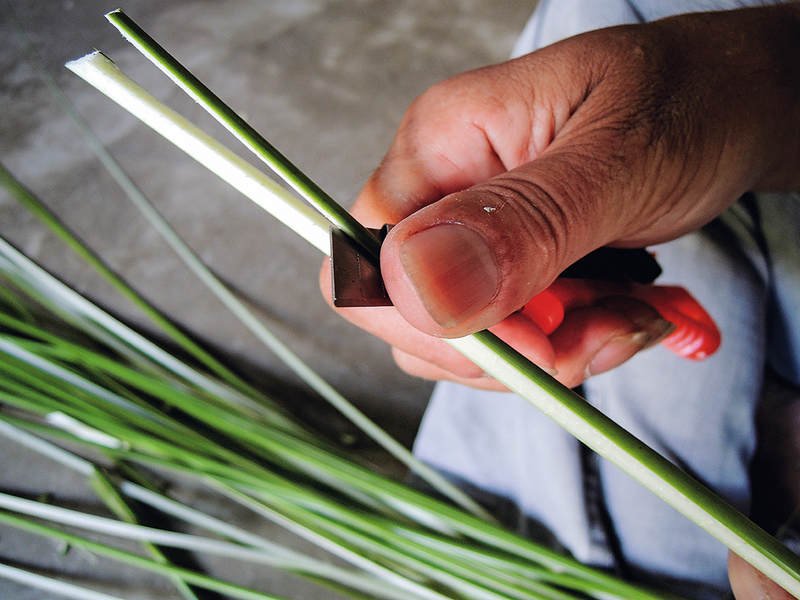 As the Riyar Light progressed from concept to proto­typing and gradually matured, they felt that they could test the market for a series of umbrella-sedge products. So they put a number of products onto the crowdfunding website “zeczec” under the Kamaro’an brand. When they started out they set their fundraising target at NT$200,000, little expecting that they would reach this goal in 12 days. Kamaro’an: Settle down and live here! Kamaro’an is an Amis phrase that means “Won’t you all take a seat!” Thus it has a very strong sense of connection to daily life. ­Chang Yun-fann explains that another layer of meaning to kamaro’an is “Settle down and live here!” If the brand was a success, they hoped to create opportunities for young indigenous people who had left the community to return home and settle there. This is the even more heartfelt wish behind the brand. With their fundraising success on zeczec and with orders in hand, in 2015 they began to face the test of large-scale production. Sumi had stored up reserves of umbrella sedge well in advance, but the sedge has to undergo months of drying in summer sunshine. Her younger partners thought of drying the sedge by machine to save time. But while the mechanical dryers reduced the moisture in the material, they couldn’t eliminate it entirely. This experience confirmed that umbrella sedge has to be exposed to sunlight to ensure it is fully dry. 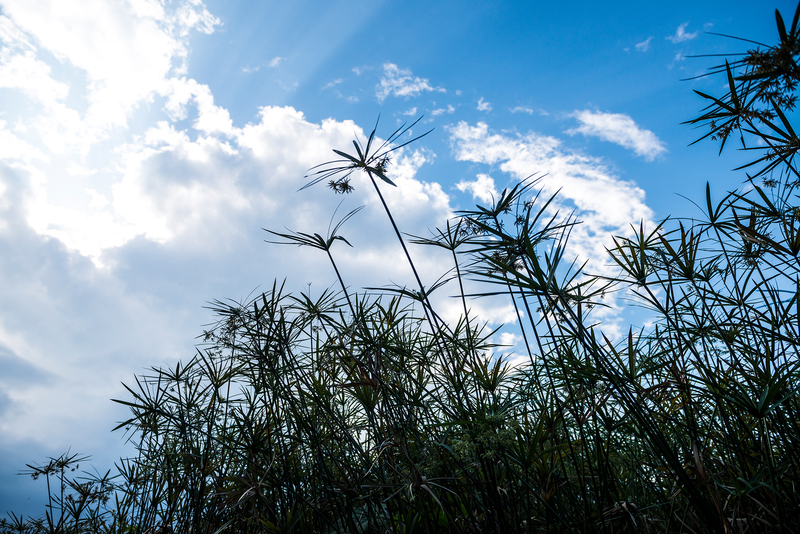 After various ups and downs, it was only in 2016 that the manufacturing process for umbrella-sedge products could be said to have become smooth. A co­operat­ive model was developed with the aim of retaining as much of the income as possible in the community, with the community being responsible for creating a production line. The hope is that sale of these products, which drew on local culture for their creation, can in turn support that culture and enable it to endure by creating local businesses and providing steady jobs. Kamaro’an have also tried their hand at overseas trade fairs. Over the last two years and more they have shown their wares in Paris, Japan, Bangkok, Hong Kong, Milan, and Frankfurt, and orders have come in from France, Italy, and Spain. Thanks to this exposure in international trade shows, Kamaro’an were invited to sell their woven triangle bags at the Museum of Modern Art in New York, demonstrating Taiwan’s very real capabilities in terms of design and crafts. In 2017, Kamaro’an opened a lifestyle boutique named “The Winds of the Pacific” in Tai­­pei’s Hua­­shan 1914 Creative Park. Kamaro’an partners personally visited and selected workshops hidden away in the streets and alleys of townships throughout Hua­lien and Tai­tung to find other makers of craft products that could be sold in the shop. The criteria that the Kamaro’an partners applied included using natural materials that were not excessively processed, as well as a dedicated and meticu­lous approach. In the shop’s displays, the designers arrange products thematically to create the lifestyle feeling that Kamaro’an is looking for. Kamaro’an always wanted to have a bricks-and-­mortar shop so as to able to interact with consumers directly and observe what they like. 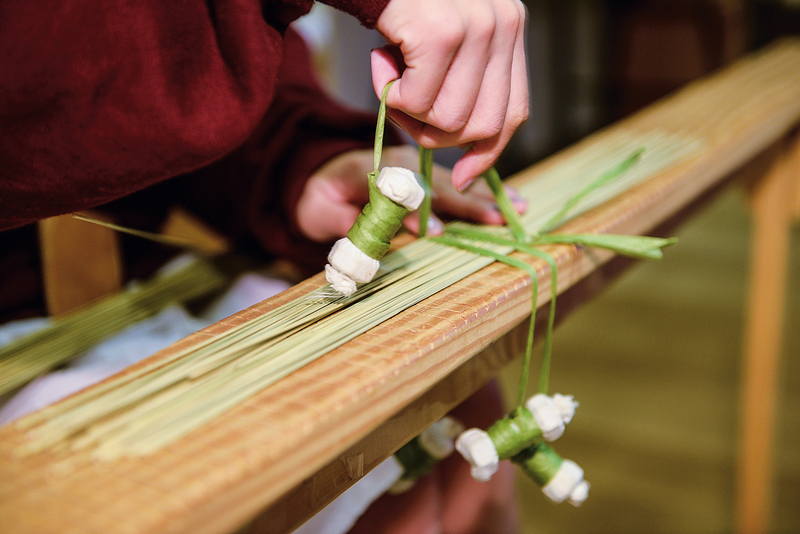 Furthermore, most people have little awareness of umbrella sedge, so consumers would gain a better appreciation of woven sedge products if they could come to the shop and see the weaving process in person. Shane Liu adds that numerous lifestyle shops have sprung up in recent years, but there are few that, like The Winds of the Pacific, sell only products made in Taiwan. Many foreign visitors go to Hua­shan 1914 Creative Park wanting to buy something made locally, so they love the products made by and for Kamaro’an. 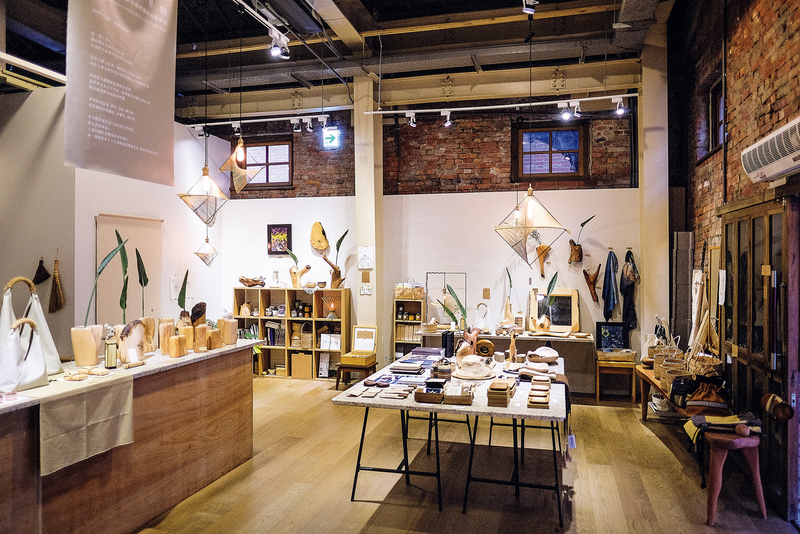 The shop also has a space set aside for exhibitions of craft products from Hualien and Taitung. This space gives consumers a feeling of novelty, so that they regularly come back to visit. Without emphasizing Aboriginal motifs or symbols, and without wanting to become a simple souvenir shop for tourists, Kamaro’an ensconces within its products even more stories that are part of culture, quietly waiting for consumers to look at the details and appreciate them, and to gradually discover these stories for themselves. The original idea behind Kamaro’an was the hope that the artistic capabilities that have continually emerged in indigenous communities in recent years can be transformed into a local cultural industry, enabling young indigenous people to return home to live. For the future, Ti­pus hopes that the brand can help more young people to apply themselves to learning various craft skills. “If we can’t build more links with indigenous communities, then this brand won’t survive,” she says earnestly. Only if the younger generations learn traditional skills from tribal elders and preserve them will they have the opportunity to build on those techniques in the future. Design can perhaps provide an orientation and a means to make crafts into living culture.